Simrik Air is one of the popular helicopter company in Nepal. The company is established in 2001 with superior track record in high altitude services, recreational tours and adventure tourism. Simrik air is just a helicopter agency but Simrik airlines is the flight operator. The heli company is considered as a leading company to put Nepalese pilots in service who carry out long line missions for Rescues, Adventure Flight, Pilgrimage / Holy Tour, Heli Ski, Filming, External Cargo Sling / Load Lifting, Aerial survey, to name a few. 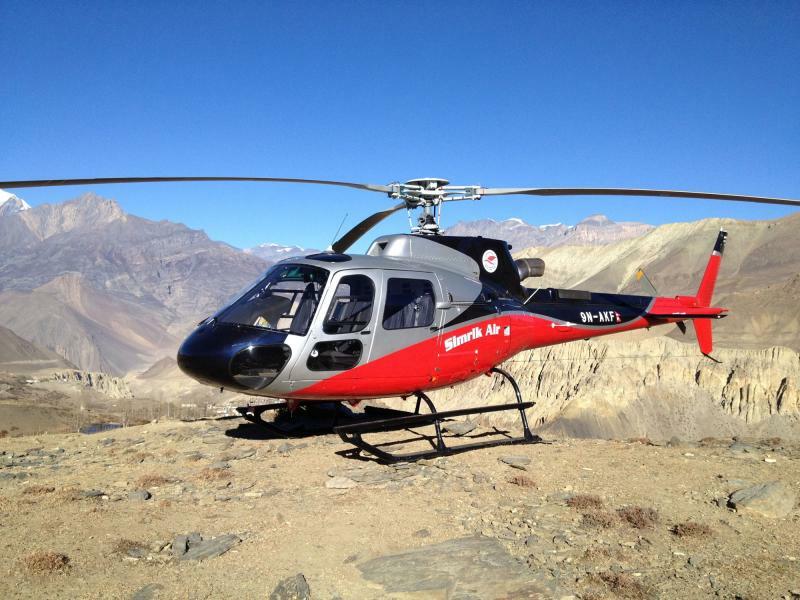 Simrik Air offers an array of helicopter charter flights to remote part of Nepal from Kathmandu airport. The helicopter company offers services at a fair cost. The helicopter agency operates mountain flight to the exotic peaks, sightseeing to the mesmerizing locations of Nepal or other customized services. It aims to provide the fastest, safest and comfortable heli ride to most of the important pilgrimage destinations of Nepal. The heli company is providing long line rescue, medical evacuations and other emergency operations by their experienced and certified pilots along with. The company is one of the leading helicopter agency to put Nepalese pilots in service to perform external cargo sling/load lifting, heli ski, filming and aerial survey among others.